No matter where you purchased your gown or dress, you can bring it to us to ensure that perfect fit. The premier alterations house, Exclusive Alterations is where a dress becomes your dream gown. Because we are a fully experienced alteration provider, you will receive the best service with a wonderful experience when you decide to work with us. Your alterations are our primary service, so you save $$$. Tradition has changed through the years in how you find your perfect wedding dress or formal gown. Boutiques, internet and event independent dealers. What hasn't changed is the need for qualified professionals to ensure a perfect fit. This is where Exclusive Alterations comes in providing the full service you’ve traditionally come to expect after the sale. Owner and operater Jenni Robertson has many years experience in the bridal and formal wear industry. With an equally experienced staff of seamstresses we will work one on one with you and your whole wedding party in a warm quite atmosphere. You will leave knowing you made the right choice with Exclusive Alterations for your alteration needs. 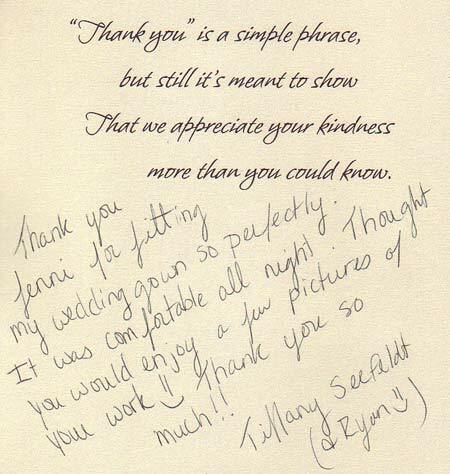 We are proud to say that we are recommended by many area bridal shops and clothiers as well as past customers.